Select which style best describes you! We send products catered to your style. Feel free to email us more details too. We will send you unique accessories that speak to your likes and interests. Leave it up to us to curate you a box. Shipping is FREE in the USA and $6.99 to Canada and international. We ship on the 15th and 30th of every month through USPS. I like video games, Star Wars, Iron Man, and all things Sci-Fi and unique. I need to keep it professional and simple. I am a sports fan. Tell us in your style profile your fan favorites and hobbies. What is Men's Accessories Box? Men's Accessories Box provides Monthly Subscription Boxes for Men. We are here to help you easily change up your style without the hassle of going to a store or making purchasing decisions online. By filling out a style profile, we do the shopping work for you & will send you each month automatically a new accessory that speaks to your style. You pick a style. You pick a plan. You can subscribe month to month or save money when you pay in longer intervals. You can cancel your plan at any time. Every box is yours to keep. The more you tell us about yourself the better our stylists do at sending you stuff you love. How are the accessories selected? Accessories are selected based on your style profile. You can also email us tell us more about your style. Feel free to make requests too. We love to hear from you. Yes, you can purchase a subscription as a gift. Mark that option at checkout and mark if you want it to not automatically renew. You can include a gift message too. How are the boxes priced? Boxes are priced half off retail. We are able to take that much money off for you because of our relationships with the manufacturers. We ship from the 15th and 30th of every month, USPS First Class Mail. If you ordered before the 13th of the month, your box will be shipped on the 15th of that month. Any orders after the 13th are shipped on the 30th of that month. Boxes ordered on the 30th or 31st are shipped the 15th of the month. For questions or expedited shipping requests, contact us. Holidays such as Christmas and Father's Day we work around the clock to ship within days of when the order is placed! "I was pleasantly surprised by the selection inside. I got cufflinks, a tie, tie bar, corkscrew and money clip. They did a nice job picking items that matched the information I gave them. I'm definitely going to continue my subscription." "My box was very thoughtfully put together. 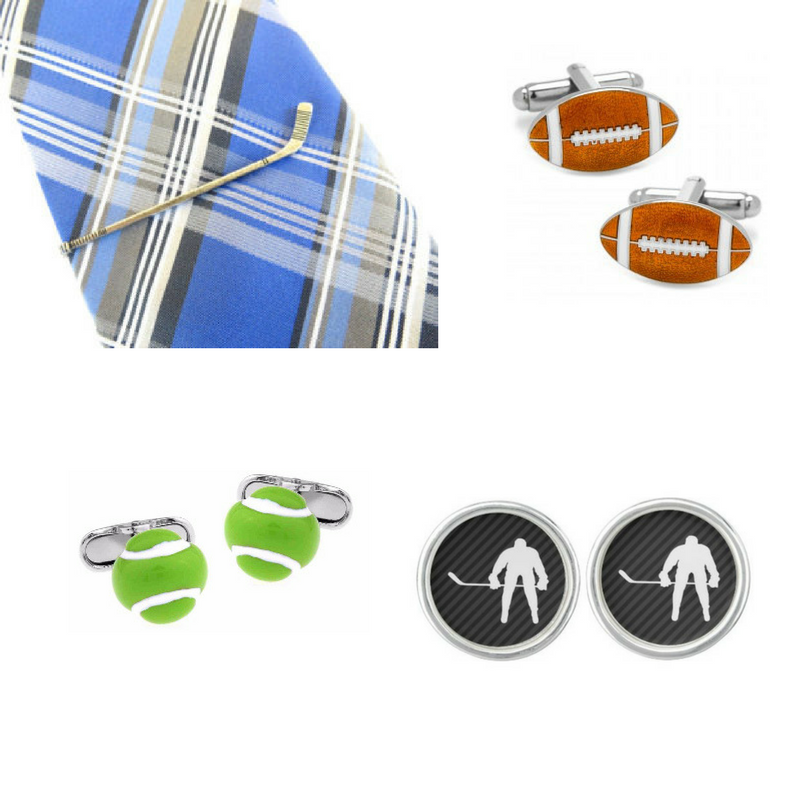 I love how they listened to my style profile and gave my husband stuff that speaks to his hobbies like nautical style cufflinks and ties and pocket squares that match... The quality was even better than I thought it would be! Thanks so much. This was a HUGE HIT with my husband!" "I think this is a great way for men to build an accessory collection. 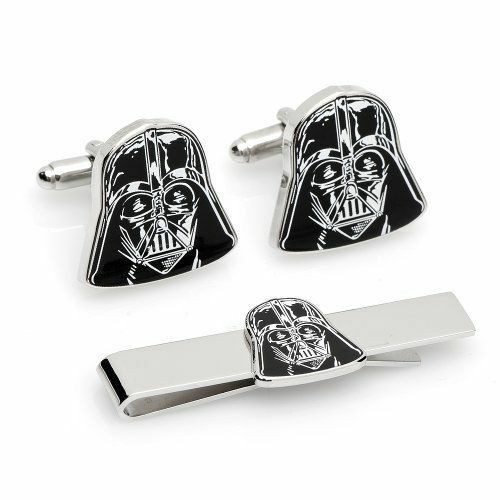 For the man who loves accessorizing his suits, this subscription is perfect! 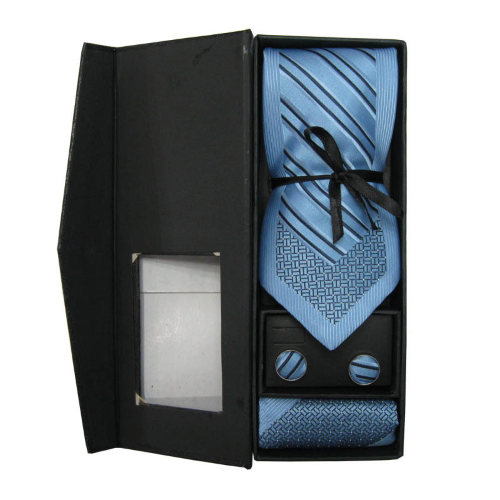 Men's Accessories Box would also make a great gift."